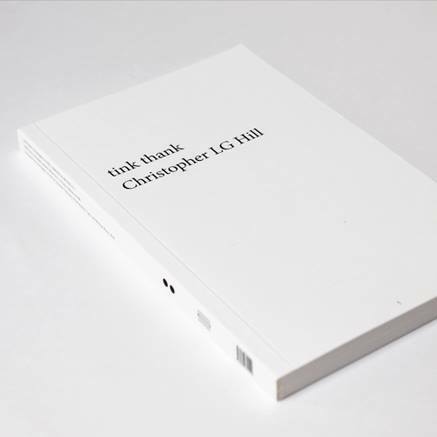 Join us at Monograph Bookwerks for the Portland launch of tink thank by Christopher L G Hill. Thursday, May 29 from 7-9pm. Lisa Radon will read from Prototyping Eutopias, Morgan Ritter will perform a selection of poetry, and excerpts from tink thank will be presented by a poet-actor to be announced. Since 2011, Christopher L G Hill (@CLGHill) has sustained an open-ended project of twitter poetry, “a florid poem flailing in reflexivity”. In his artist book tink thank, Hill has translated these haiku-like tweets for a non-virtual, printed environment. The result is not an analogue duplication; through addition, subtraction and reformatting, a new multi-stanza work has emerged that explores the lived nature of expression, impression and introspection. 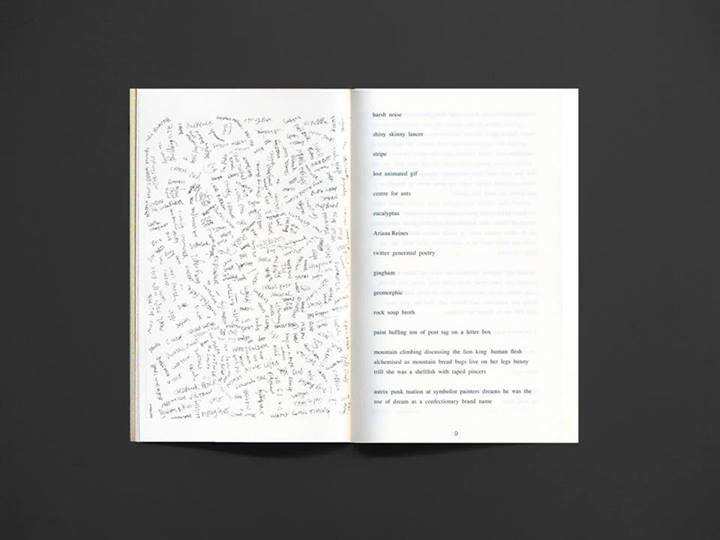 tink thank is jointly published by 3-ply and Poly:be Press. 3-ply is an independent publishing initiative that focuses on publication, writing, editing and translation as an extension of art practice. Poly:be Press is a new imprint that catalyses projects traversing the digital and analogue, including translations, hybrid works, and material archiving of digital ephemera.